Something that draws home-buyers to Vermont again and again is the history and charm of older homes. From the classic Victorians of St. Johnsbury to century old farmhouses scattered throughout the Northeast Kingdom, it’s easy to love these homes, the original features, and designs you don’t see in newer construction. I know I do. It’s the type of home my wife and I purchased for our family and we love it. However, often a buyer will fall in love with one of these properties but feel conflicted by the obvious pros of a newer constructed house and the energy efficiency benefits it offers. The good news is Fannie Mae has announced its HomeStyle Energy Mortgage. This allows a home-buyer to finance up to 15% of the home’s appraised value for energy related upgrades. 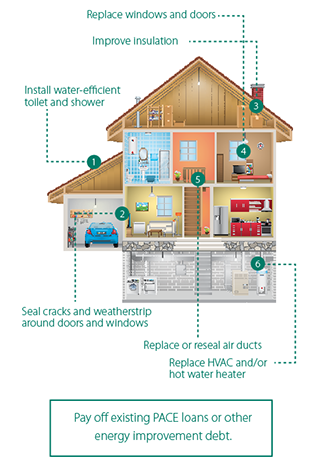 This can include weatherization, installing water efficient showers and toilets, improving insulation, upgrading windows and doors and more. This is a wonderful opportunity for home buyers to invest in our historic homes and feel confident that they are able to improve the energy efficiency of the house to ensure a comfortable home, energy savings and help reduce their carbon footprint. Kudos to Fannie Mae! Read more about it on the Fannie Mae website.